Need to rent a U-Haul? If you don’t have access to your own personal utility van or tractor trailer, renting a U-Haul is the next best thing when you have a lot of stuff to move and a short time to do it! Felix Auto and Tire is a licensed U-Haul rental location, and we can set you up with a van, trailer, or truck that will assist you in your next big move! Moving across town or across the country can be a stressful time. Doing the packing and moving yourself may both alleviate and increase your anxiety in different ways. Nonetheless, many people tackle the moving process on their own because it saves them money and it gives them a lot more flexibility in their moving schedule. Plus, we’ll make sure that the brake lights and other necessary components are working properly before you pick up your equipment. All the work is done for you! These are great reasons to DIY your move. Felix Auto and Tire can make it even easier to get packed up and on to your next home with our U-Haul trucks, vans, and trailers. No matter what items you need to move, we have the perfect equipment available to you any day of the week! If you have a lot of stuff to move, you can haul it in one big truck or several smaller ones. Larger trucks save money, mileage, and time because you are only paying for fuel for one vehicle. However, if you are moving out of town, you’ll need to drive your personal vehicles, too, so it might make more sense to rent smaller equipment. Anyone over the age of 16 can rent and drive a U-Haul trailer, and those 18 and older can drive our trucks, provided that he or she has a valid driver’s license. This information comes in handy if you are sending a student to college or off to a new job, or if you have a responsible teenager who will be helping you with a family move. Felix Auto and Tire can explain all your options, including our In-Town rates versus the rates for One-Way moves. Depending on how far you’re going and how long you will need the equipment, either of these might be an option for you. If you happen to be moving north…way north…you’ll be glad to know that our U-Hauls can legally cross the Canadian border, even if you are relocating permanently. 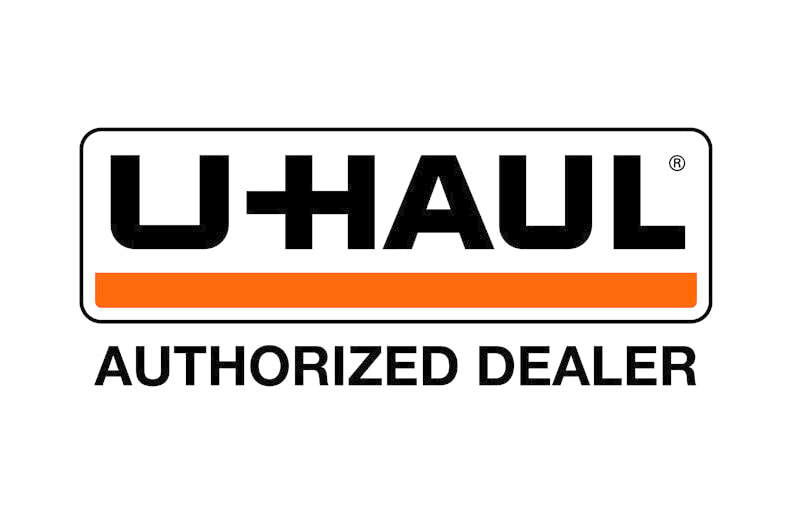 You can drop your van, trailer, or truck off at a certified U-Haul location anywhere in the U.S. or Canada! Drop offs are just as easy as renting from Felix Auto and Tire. There will be a number listed on your rental agreement. Call it to find out where the most convenient drop off location is. Of course, with an In-Town rental, you’ll know ahead of time that you’re going to be dropping your equipment back off with Felix Auto and Tire. Customers choose U-Haul again and again for their moving services for many reasons. One thing that keeps bringing people back is that our reservations are guaranteed. You’ll even get reimbursed if the equipment you request – or equipment that is of equal or greater size – is not supplied for you at the time and location agreed upon at least one day prior. With this policy, we are able to give movers peace of mind that they don’t get from any other equipment rental company! Various sizes ensure that you’ll get the right amount of moving space. Just tell us what you’ll be moving, and we can advise you on which trailer will be the best fit. From dorm rooms to business equipment to 3-story homes, we have a U-Haul for you! U-Hauls keep sun, wind, and rain off your belongings, making them a safe way to transport just about anything. Road dust, rocks, or grime won’t get slung up onto your items, either, as they would in open moving equipment. They are easy to maneuver. Whether you choose our trailers or trucks, you’ll see that U-Hauls are very easy to drive. You only need a valid U.S. driver’s license to drive one. No CDL or special certification is needed. Locking doors protect your belongings if you stop for a good night’s sleep or just for lunch. You may also use the equipment as a storage unit for a day or two if your new place isn’t quite ready when you get there. Doors that lock are also added protection against the door opening while you are driving. U-Hauls are safe for electronics, too! You can move your television, PC, and any other electronic devices and be sure that they’ll arrive safely just like your other belongings, as long as you pack them up properly. These are good tips for loading a van or truck as well. Following these simple steps will ensure that your belongings don’t get scratched, broken, or dented on the trip. Take your time and do it right. You’ll be glad you did! If you need an easy moving solution, don’t hesitate to call Felix Auto and Tire to reserve one of our reliable U-Hauls! We have 7-day-a-week rentals so that you have the freedom to move when it’s convenient for you!